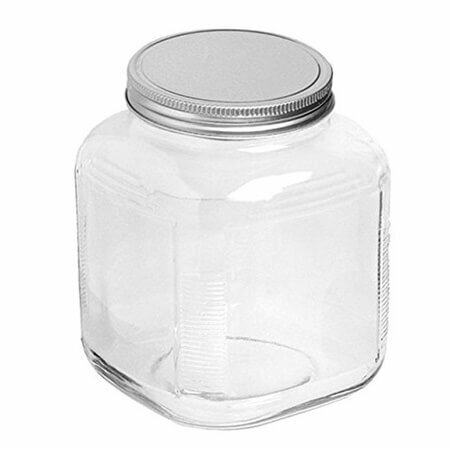 1 Gallon Cracker Jar with Aluminum Lids constructed of clear glass and brushed aluminum lids look wonderful lining the shelves of your shop. Stock well with everything from crackers of all flavors to candy in multiple shapes and sizes. Customers will love the appeal of seeing all the items spread out clearly in front of them. There is an elegance to the clean line of crystal clear glass jars filled with a rainbow of candy. Show off fresh baked cookies in your home as well as in cafes, delis, restaurants, and bakeries. 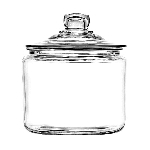 The more you bake the more money you make and this glass gallon jar is the perfect display piece for you. Order yours today!